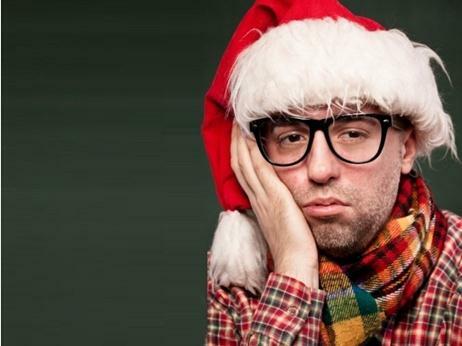 The holidays can be joyful times for many, but for the recently divorced or separated, they can also be painful times, especially if you are spending it alone for the first time or the kids have to split their holidays for the first time. We are not mental health professionals here at Chicago Family Law Group, LLC, and not every tip will be right for every situation, so you have to know yourself. Some of this is common sense that you already know but you may need a reminder. If your friends and/or family will lift your spirits, spend time re-connecting with family and friends. If, on the other hand, the celebrations will bring you down, don’t put yourself in that situation. Focus on what you can be thankful for and count your blessings. Do you have a roof over your head, children that love you, food on your table? Make a list. Check it twice. Give back to those that have less. Donate a gift to children or or non-perishable food to a family that is in need. Donate your time at a homeless shelter or soup kitchen. Ask for help or support if you need it. The holidays are the time for giving and most people will be more than happy to help out. Develop new holiday traditions. If you have children, splitting holidays is inevitable. It may be too painful to continue in the holiday traditions that you had as an intact family but you can start new traditions that reflect your new holiday arrangements. Keep active! Exercise fights depression. Cut out the negative self-talk. If you catch yourself doing it, challenge those thoughts with more reasonable beliefs. Try some meditation, breathing exercises, and/or do some yoga. If you need professional help, seek it out. We wish you a joyous holiday season and peace and cheer in the New Year. If it is time to start a new chapter in your life by getting a divorce or modifying a visitation schedule, please reach out to us. If you know someone that is recently divorced or separated, keep in mind that this may be a very difficult holiday season for them and reach out and offer your support. I really appreciated receiving this message from your firm. I don’t think we ever worked together, but I know we spoke about doing some head shots for your firm some time ago. What a generous thing to share with your clients and friends at the Holiday Season. In addition to being a photographer, I am also a “licensed spiritual counselor,” as well as a paralegal. Those are the three unique hats I wear. When we take and make the time to share so generously, that sharing and generosity returns to us 10-fold. I’m clear that if I ever have a friend or client who is considering a divorce, you are the first firm I will think of and recommend!